Yes another crab dish and I think that this may have been the best one yet. 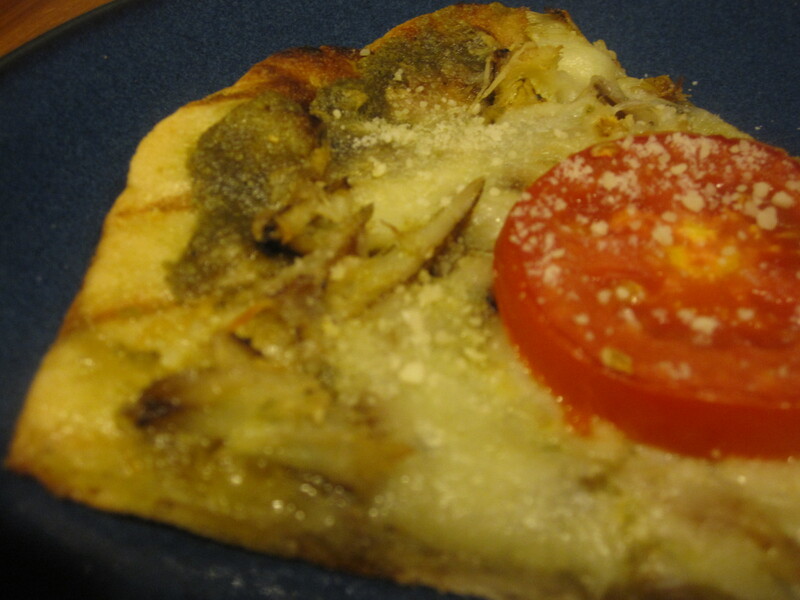 We had a hankering for some pizza and being that we live in Maryland, making your own pizza is the only option. So we stopped at Marchone’s Italian Market in Wheaton and grabbed a frozen dough ball. 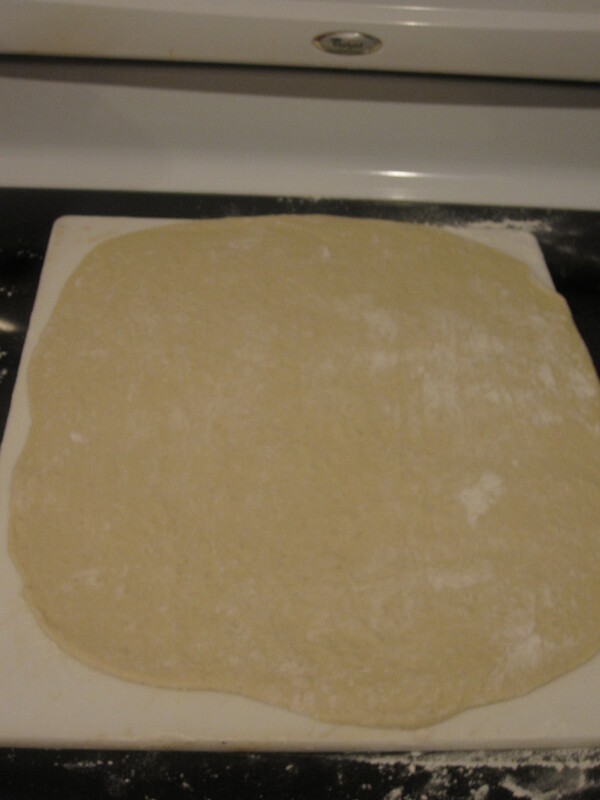 This was about 2 hours of thawing and the dough had expanded to about twice the original size. 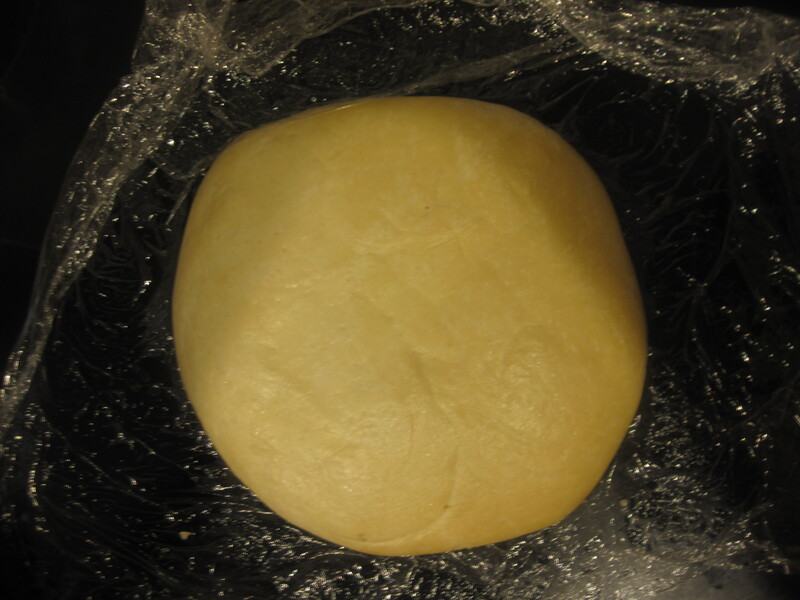 If the dough is not thawed to room temperature, it will be very difficult to work with which I have learned from experience. At the same time, you can’t work with the dough too much and remember that flour is your friend! 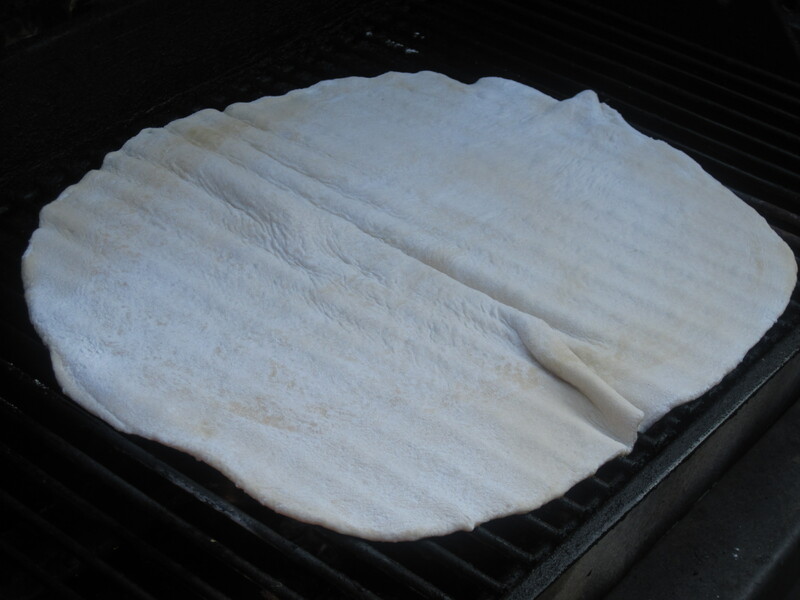 I rolled the dough out to the desired size while the grill was heating up. 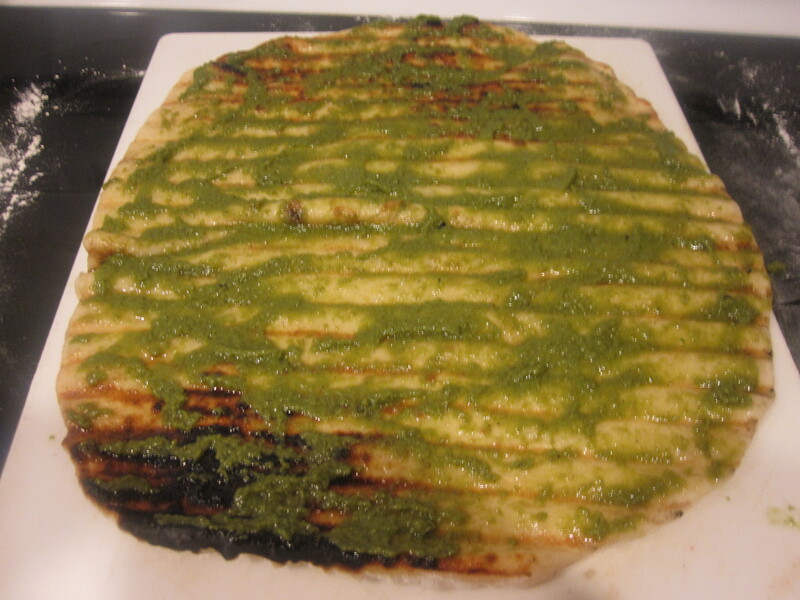 Once the dough and grill are ready, give the top of the dough a thorough spray of oil. You will then put the dough on the grill otherwise plain. 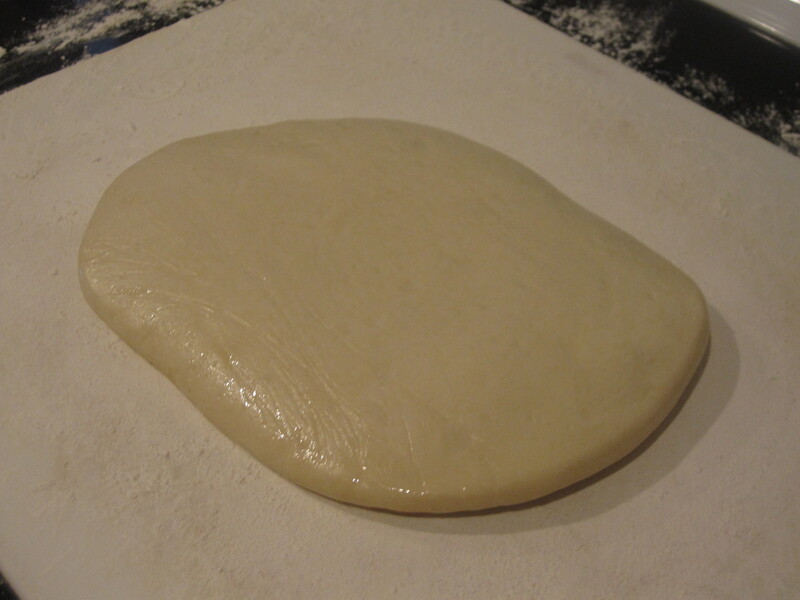 Leave the dough on for about 3-5 minutes. 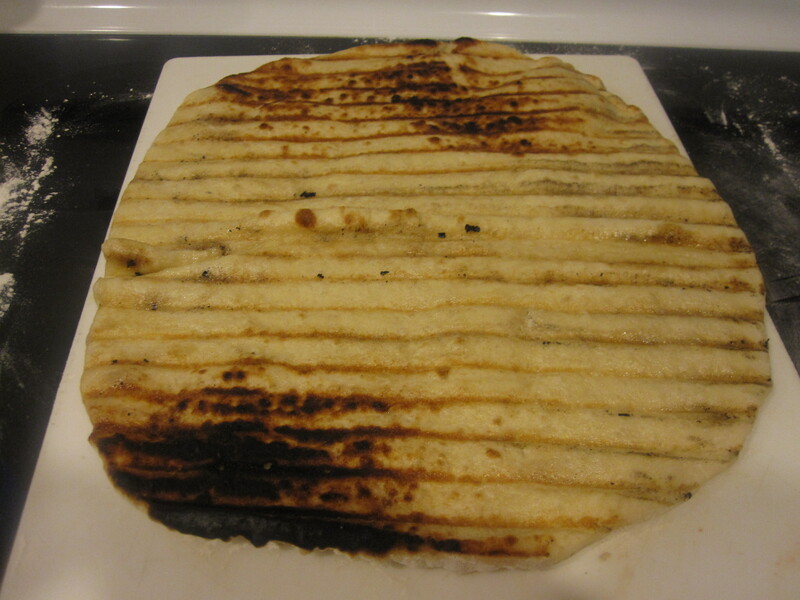 Just until the down side is lightly browned and basically firm enough to pick the whole piece up without folding and flopping like raw dough. We need a new grill! The bottom of this piece is uncooked. The top would look better if we had a better grill that cooked evenly(grill companies we are looking for a sponsor!). When we move, the gas grill is not coming. The grill doesn’t know that, but I guess once this is published the news will be out. 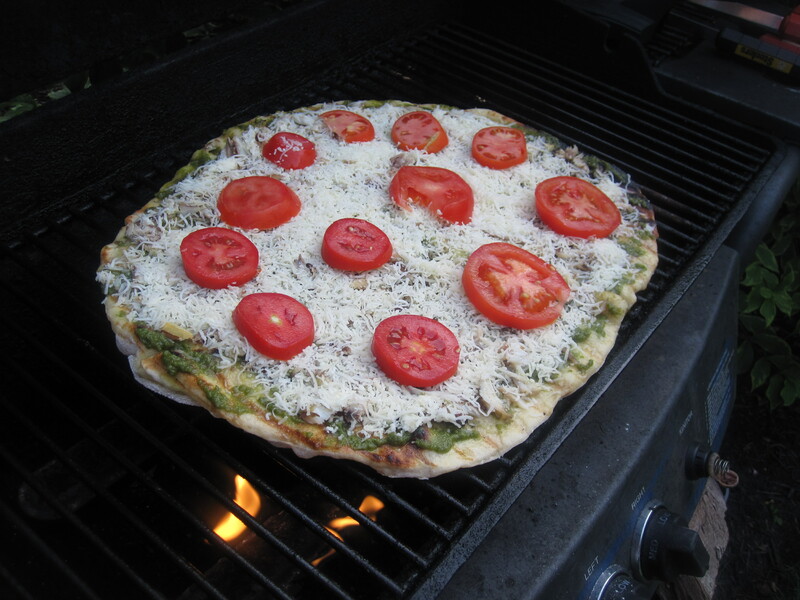 Now it is time to dress the pizza with your toppings as you normally would and then throw it back on the grill. Instead of a red sauce we used a pesto base. 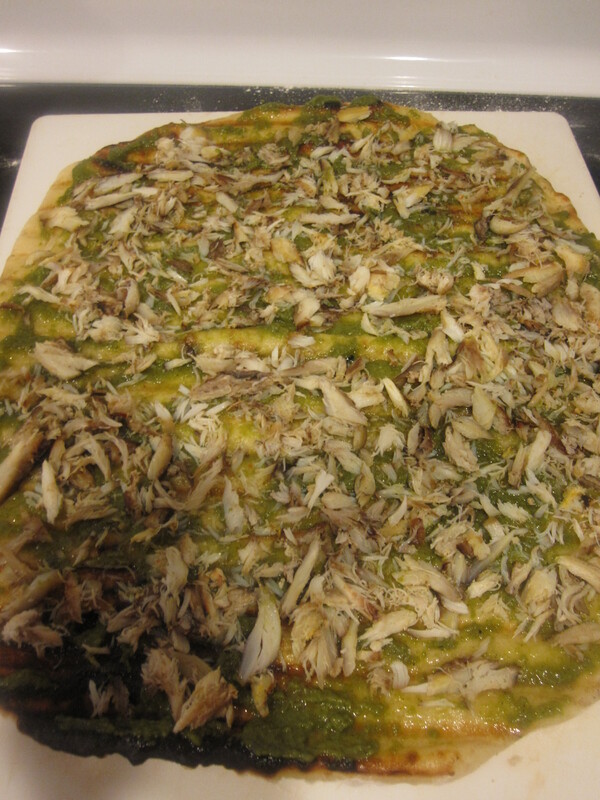 Next we used some more of the famous leftover crab which was starting to run low. Note that this was published well after the dish was made and we did not keep fresh crab in the fridge for 3 weeks. We were able to be pretty generous with the crab since we had so much. This was almost but not quite a pound. 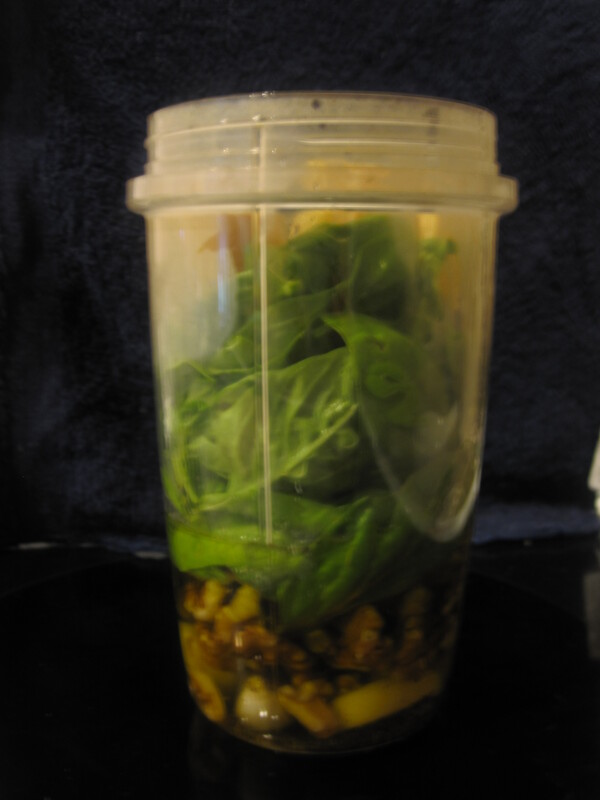 We used a store bought Italian blend. 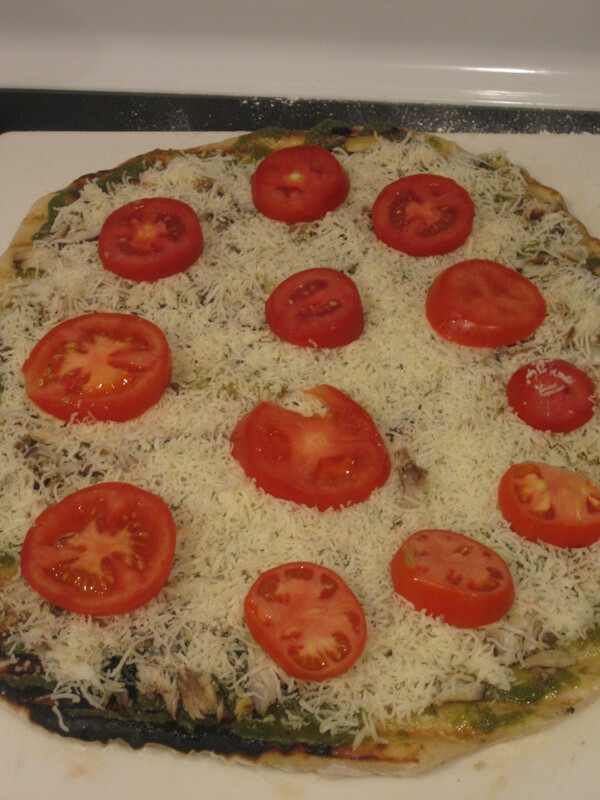 We love fresh tomato slices on pizza. 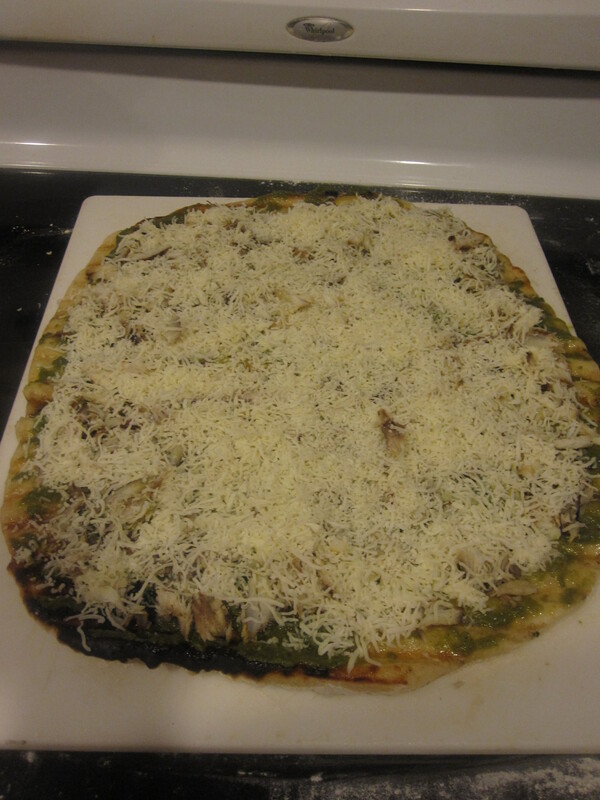 Now it is ready to go back on the grill for a little longer than the plain dough. Close the lid, which will help to melt the cheese. I gave it a few turns because of our extremely uneven grill as you can see the full blast flame or no flame options. It would be a good idea to give it a spin either way though. This stage will take closer to 7-9 minutes to melt the cheese and cook the pizza through. It turned out great! Slice it up, cheese it up, and go to town! 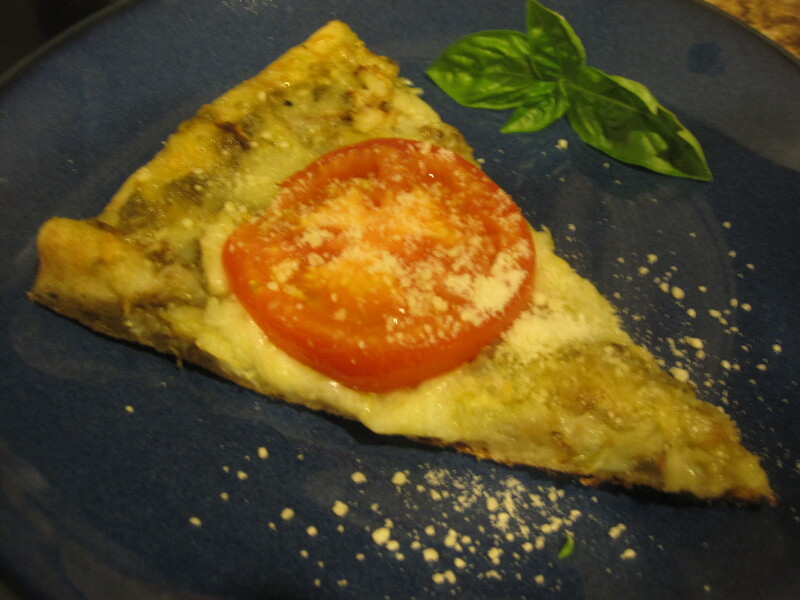 This entry was posted in Pizzas, Recipes, Sauces, Seafood and tagged American, basil, cheese, crab, garlic, good leftovers, grilled, Italian, Pesto, seafood, tomato. Bookmark the permalink. Yum. 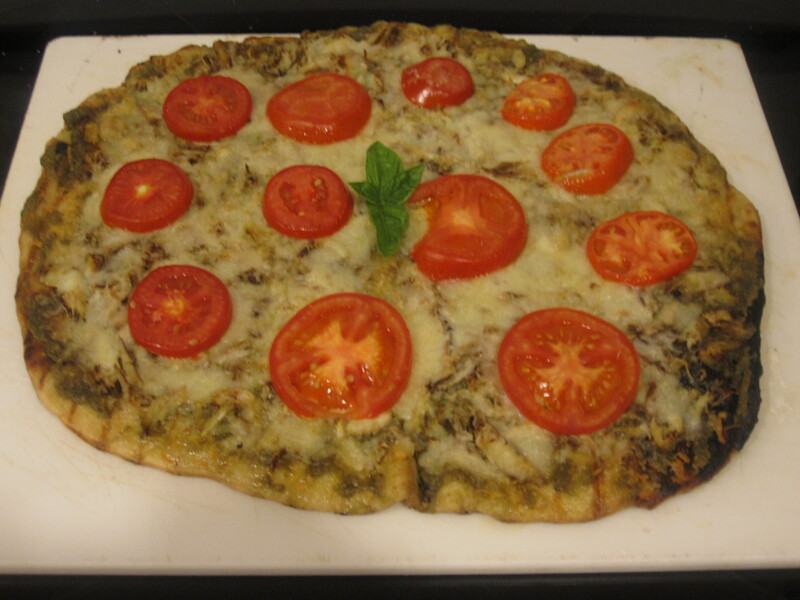 You can feel free to make this for us anytime we visit you in the Burgh!